If you’re planning to remodel your bathroom, there are some essentials you’ll want to consider. While it’s nice to switch out the hardware on your cabinets or give the room a fresh coat of paint, there are some other things that will not just make it more comfortable to live with, but will add long-term value as well. The following are four essentials of bathroom remodeling. A Quality Fan – The ventilation system in your bathroom makes a huge difference, though you might not notice at first. Consider the mold growth that could be the cause of improper ventilation. Not only is it unsightly, it’s harmful to live with. A new, high quality fan can also lessen noise in the bathroom, as newer models are quieter to run. As an added bonus, ask your installer about options that come with humidity sensors. Extra Storage Space – While it can be fun to decorate the bathroom a little bit, too much can be overwhelming. When that happens, you just can’t relax when you need to. Rather than pulling in additional baskets and shelves to sit on countertops and in corners, utilize built-in storage options. Speak with your installer about tall cabinetry, drawers underneath the sink and other creative spaces for storing your items. A Good Soaker – If your bathroom has space that allows for a good soaking tub, it’s always nice to have that option at the end of the day. If you can’t fit a larger bathtub into the room, a traditional size with higher walls would serve the same purpose. Bright Lights – Many people spend their morning getting ready for the day in the bathroom. Without adequate lighting, they may not notice their makeup doesn’t look quite right or their shirt has lint on it. Bright lights enhance the room so you can look your best after spending time in there. 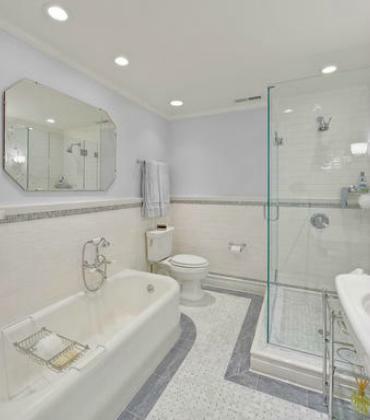 As you can see, a quality fan, extra storage space, a good soaker and bright lights can really make a difference when it comes to your bathroom remodeling project. Speak with a professional today to find out how to get started. Consider all the possibilities available for your bathroom remodeling project. With so many products, colors and styles to choose from, the sky is the limit, but how is your budget looking? While you might get overly excited about all the possibilities, remember to stay within your budget so you don’t end up with a half-finished bathroom and an empty wallet. The following are some aspects to keep in mind when coming up with the right budget for your remodel. Depending on the extent of your remodel, there are some things you’ll need to consider when it comes to plumbing. If you’re doing a complete overhaul, you’ll need to disconnect everything related to the plumbing so you can install new fixtures. There might be some piping that needs to be redone and you might have to install new shut off valves. It’s smart to budget $1000 for the plumbing alone. Again, every remodel is different and the extent of yours will determine the cost you should budget for tile. You might be tiling the floor, the shower, the backsplash and possibly the countertop. If you opt for in-floor heating, you’ll have additional costs. Tile can range anywhere from $7 to $15 per square foot, and with in-floor heating, you can add another $14 for each square foot. When it comes to the electrical work in your bathroom remodel, you’ll be working with outlets, lights, fans, vanity lights and more. Not only do you need to consider the electrical work itself, but you’ll need to consider the actual lights, outlet covers, etc. Set aside $800 for the electrical work and another $200 for the components. Of course, there is so much more when it comes to your bathroom remodeling budget. You need to plan for the bathtub, shower, faucet, accessories, mirrors and sinks. You also need to plan for paint, construction materials, a dumpster and other miscellaneous supplies. Speaking with a contractor will help you get a better idea how much this will all cost, and can hopefully get you some good deals to make sure you come in under budget. Boundary Lines – You will need to know where your exact property lines are. There are certain building codes that define how near you are able to build to that line. It’s important you adhere to these codes so you don’t end up having to rip down a perfectly fine addition. You’ll also want to consider the boundary lines so you know how much yard you can expect to have left after the project is complete. 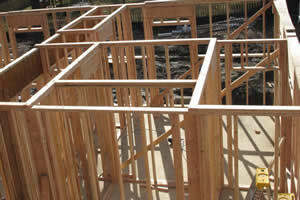 Floor Plan – Your current floor plan can help you determine the layout of your home addition. While it’s always fun to dream of different ideas, let a professional help you come up with the perfect layout to connect to your current home. You want the area to flow well, function properly and not look like it was an addition at all. Work Descriptions – Once you have a floor plan in place, have your contractor or architect help you come up with some work descriptions. What steps need to be taken? What materials need to be purchased? What can you, as the homeowner, take care of? What does the contractor need to do? Budget – You don’t want a home addition to make you house poor. While speaking with your contractor, find out how much you can expect to pay for the home addition you are dreaming of. If it comes in above your budget, you might consider scaling it down or using different products. 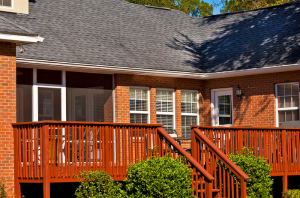 Clearly, there’s a lot to think about when it comes to home additions, but that doesn’t mean you have to get overwhelmed. Speak with a professional who can walk you through boundary lines, floor plans, work descriptions and budgets so you can relax. You probably have an idea of what your basement would look like if you had unlimited resources and money. The unfortunate reality is that the picture in your mind may not be realistic or affordable. 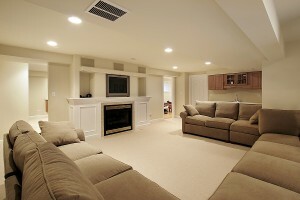 If you follow some tips for remodeling your basement on a budget though, you should be able to get pretty close. 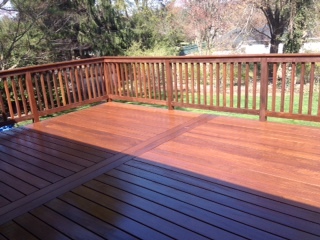 Adding a deck to a gorgeous yard really transforms it from just an outdoor space to an extension of the house. It can be a place to host barbecues, gaze at the garden and enjoy a cold drink on a hot night. 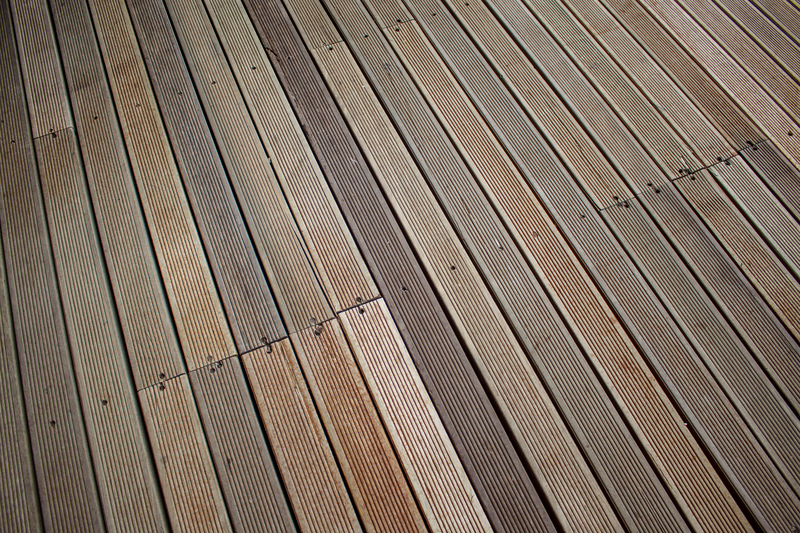 A deck functions as a space for family and friends to experience the outdoors from a wooden flooring, without having to deal with muddy or dusty soil. This article covers the basic process of deck building. Basement remodeling adds usefulness and value to your home, but it can be overwhelming. 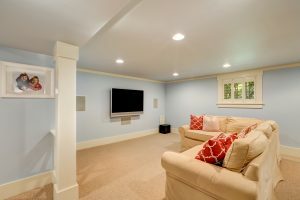 Here are eight tips to break down your basement remodel and help you get the home of your dreams. It’s often easy to forget the area below the main floor of your house. Typically, people tend to use their basements purely for storage and leave it completely unfinished and unappealing. However, this can be a total waste of extra space included in your home. Basement remodeling allows you to put that space to good use, and there are multiple directions you can go with your redesign. Whether you want to increase the value of your home, improve the visual charm of the interior or exterior, or include beneficial equipment for better health, efficiency or entertainment, home additions are an extensive and appealing method to improving a home. No matter what sort of change you’re looking to make in your house, there are several options available. Whatever you may add, there’s a good chance that the value of your house will increase significantly, as it will make it more appealing to potential buyers. Creating a Home Addition: Should You Build Up or Out? 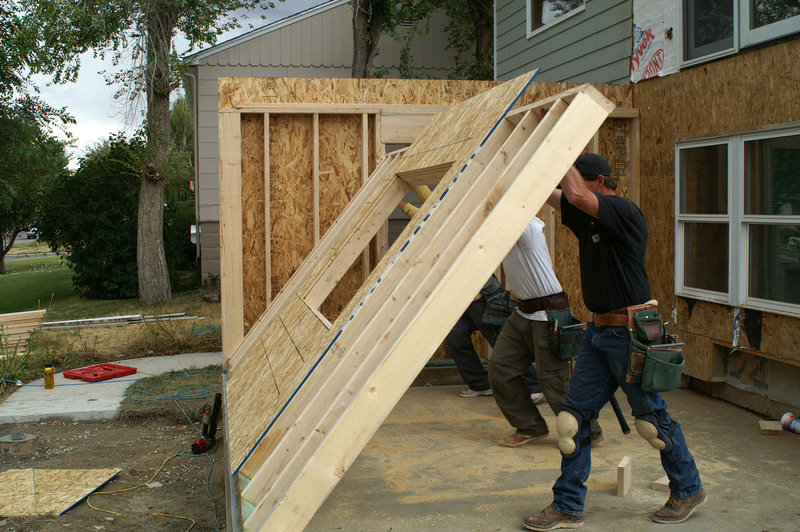 Home additions can be a great way to allow your home to grow along with your family. Whether you need more bedrooms for the kids or want to add an office or recreation space, there will be many decisions for you to make regarding construction. One factor to consider is whether you should build up or out, and while this choice will depend on your budget and preference to some degree, there are other ways to decide as well. 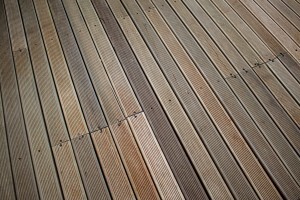 When your yard needs a spruce, a good way to create a fantastic space is to build a deck. 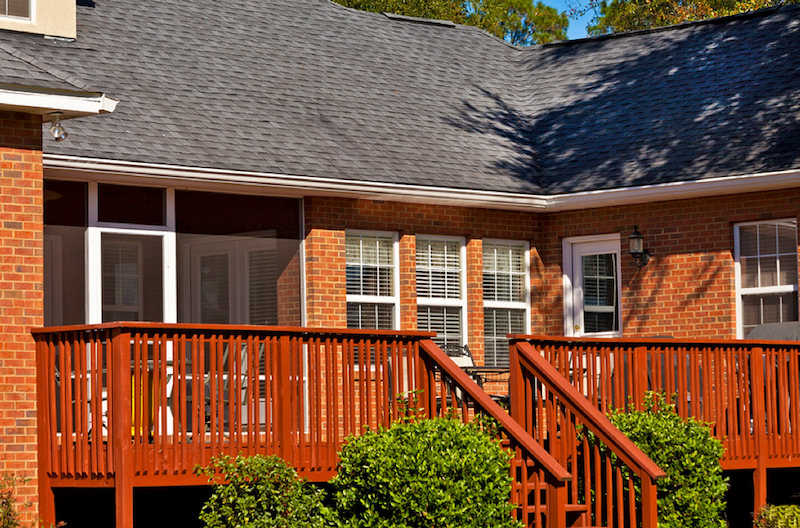 A deck lets you enjoy the great outdoors while still having the convenience of a well-designed living area. It can also increase the value of your home which is useful in the event that you ever want to sell. Here are some deck construction tips to help ensure your new addition is both useful and beautiful.